They are the faces of today's televangelists. Kenneth Copeland boasts a world-wide following. Bennie Hinn has multiple TV shows. Paula White is a talk show regular. Eddie Long received a faith-based grant from the Bush Administration. Joyce Meyer has written more than 70 inspirational books. Creflo Dollar's message has been called the "gospel of bling." Because they run churches they do not have to file tax forms with the IRS. So it's unclear how many millions - or billions - are collected every year. And it's uncertain how all the money is spent, CBS News chief investigative correspondent Armen Keteyian reports. 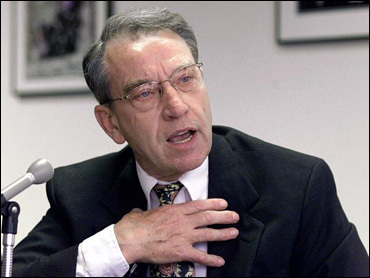 "Rolls Royces, Bentleys ... a marble commode in an expensive home: that's a lot of money down the toilet," said Sen. Charles Grassley, R-Iowa. Grassley, the ranking member of the Senate Finance Committee, capped a two-year investigation on Monday by requesting financial records from six top televangelists to see whether they are helping others - or themselves. Today, five of six denied any wrongdoing to CBS News. One did not respond to calls for comment. "My goal for reform is not necessarily to pass laws but to make sure the laws are being followed," Grassley said. Watch more of Keteyian's interview with Sen. Grassley. Check out Primary Source, our investigative blog. Ole Anthony, director of the Trinity Foundation, has been on a 20-year-crusade to expose TV ministers who abuse the failth of others. "They live like multi-billionaires off the income from the poorest and most desperate people in our society," he said. Some of these televangelists preach the so-called "gospel of prosperity." Now a powerful Republican senator has demanded they all provide financial records by early December - to determine if they are living that gospel as well.